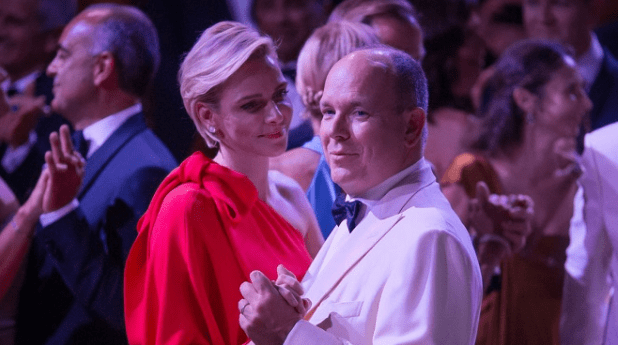 The Red Cross Ball in Monaco is one of the largest charity galas in the world, bringing together the most famous and prominent people, many of them from the ruling houses of Europe. The Ball is held every year and is the culmination of the summer season in Monaco. This year, the 68th Red Cross Ball was held on 23rd July. 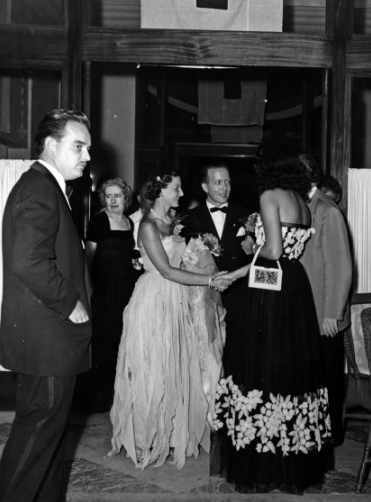 The first Red Cross Ball in Monaco was organised by the ruling Prince of Monaco, Louis II in 1948. Since then it has traditionally hosted charity concerts, auctions and dinner parties. Monaco has always lived in the spirit of pacifism and cooperation; its rulers throughout history strove for the peaceful solution of problems, and were famous for their charity and assistance to neighbouring countries. That is why the Red Cross became so widespread on the Cote d’Azur. The mission of the young Monegasque organisation was, in fact, to continue the work of the great humanist Henry Dunant who created the Red Cross in 1863. By creating this charity, Dunant aspired to bring first aid to the wounded in battle or injured soldiers returning from the front. He himself was struck by his view of the battlefield after he had taken part in the Battle of Solferino. Henry Dunant was awarded the Nobel Peace Prize in 1901 for his work and for his creation of the Red Cross. 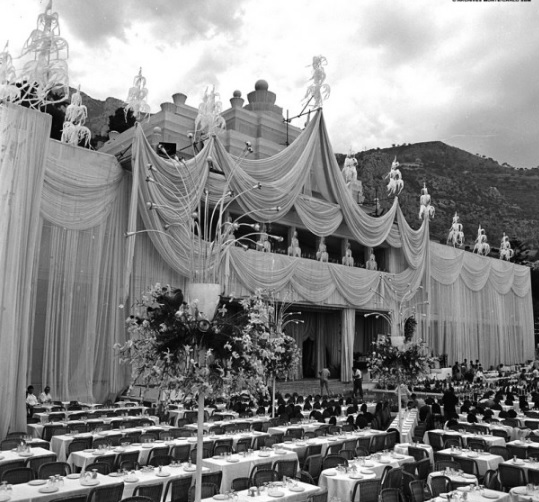 The young Prince Rainier III became President of the first Red Cross Ball. He officially opened the ball, greeting the guests and presiding over the whole ceremony. This was new to the Principality – a head of state being actively involved in a charity event. 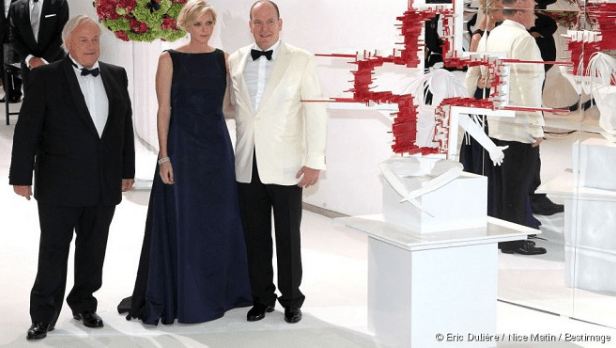 Thus began the history of the Red Cross Ball in Monaco. Prince Rainier III at the Red Cross Ball in 1950. 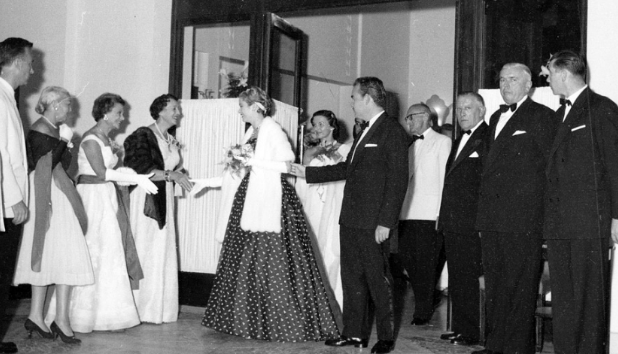 Ten years after its creation, the Red Cross Ball changed its President. It was now Princess Grace of Monaco. Grace carried out her mission with the utmost zeal and dedication. During the years of her presidency of the organisational committee, the ball was attended by celebrities such as Ella Fitzgerald (1959), Sammy Davis, Jr. (1961), Charles Trenet (1962), Sacha Distel (1963), Gilbert Bécaud (1968), Charles Aznavour (1970) and Shirley Bassey (1971). As of today, the Red Cross Ball is still held in the Salle des Etoiles of the Monte-Carlo Sporting Club. Since 1989 artists are invited to create a work of art specially associated with the Red Cross. 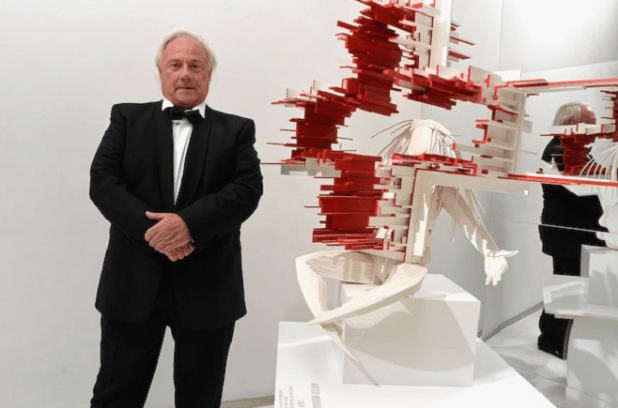 In 2014, Mateo Mornar presented his sculpture and in 2015 Manuel Merida gave his installation “Manucroix Rouge” to the Red Cross of Monaco. A Gift to the Red Cross, sculpture by Mateo Mornar. The Gala receives important donations due to its scope, programme and excellent menu prepared by the best French and Italian chefs. All the collected funds go to the Red Cross of Monaco Foundation. A dinner per person costs an average of 1,200 euros, without drinks, and organisers claim to collect an average of 700,000 € per year from the auction. 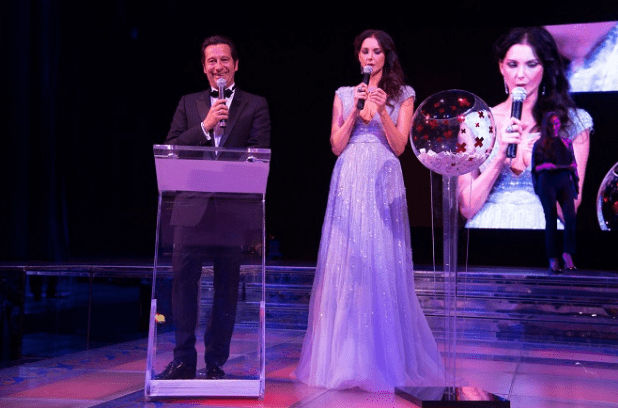 About 900 guests visited the Ball this year and Lana del Rey performed on the stage of Salle des Etoiles. This is a young American singer who has quickly become famous thanks to her exceptional talent. She released her first album “Born to die” in 2012 and it was a great success. Her second album “Ultraviolence” was first performed at the Monte-Carlo Sporting Summer Festival. This summer she presented her third album “Honeymoon” at the Red Cross Ball. Some of its songs were written during her stay on the Cote d’Azur where she spends several months a year. Lana Del Rey is the most mysterious and touching performer of today’s music scene.